Mini List Taker - a purse sized organizer which includes a memo pad, a mini pencil, and a pocket for shopping lists, coupons, receipts, etc. 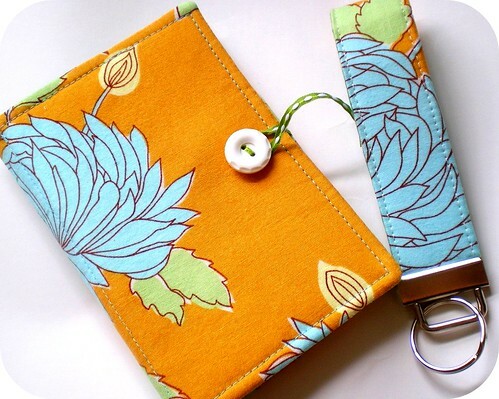 Wristlet Key Fob - keep your keys where you can find them-on your wrist! Zippy Pocket Wallet - great for holding cash, credit/debit cards and business cards. Entries accepted through Thursday, May 20th (11:59 pm CST). Winner will be determined randomly via Random.org. (Open to US and Canada). I will post the winner on Friday, May 21st. PLEASE, pretty please include your email address in your comment so I can contact you if you win. (If your email address is in your blogger profile, that works too.) Good luck! 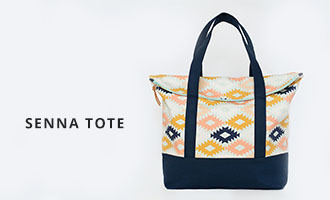 I checked out your Etsy Shop and I love that slouch bag! You have some great stuff! Be sure and stop by-I'm participating in the Sew Mama Sew Giveaway today too! These are so cute! I love the fabrics! I am a HUGE fan! Your stuff is amazing! Wow! Such great items for last minute... thanks for being so generous! I would love to win any of these special treats! What a great giveaway! I love all of your fabric choices- Thanks for the chance to win such lovely treats! Love that wristlet! So cute:) Have a great day! Wow, that's a great and very useful item. Love the fabric. Thanks for participating! I love your blog! I can't remember how I found it but I can't get enought of it! I love your list takers! Great stuff! I'm quite a listmaker myself. oh i love these! thank you! Wonderfull colours in your blog! enter me please! and I am looking forward to "spicing up my kitchen"
Oh this is great!!! Loves it! love your items and your generosity. Cute stuff. Thanks for the giveaway! These are such neat items! Thanks for sharing and a chance to win!! really lovely & useful items! Thanks for the chance to win. IT's all so beautiful. Feel free to check out my giveaway over at my blog. What beautiful (and handy) items! I love when practical things are also cute! the list taker! so cute!! awesome giveaway! i love the zippy pocket wallet. And they match the purse I got from you! I LOVE my key fob by the way, I didn't think I would need one, but it's turned out to be one of the most useful items ever. All these items are gorgeous! Thanks so much for the giveaway! Thanks for a great giveaway. I could use a little organization in my bag! I love the fabric you used for these! I love your color choices and what fun pieces!. Ooo, I LOVE your giveaway items and would be so happy to use them. Thanks for the chance! Stop by and enter mine, too! Wow, love your nicey jane bag...so pretty. Awesome giveaway. I N.E.E.D. that key fob! 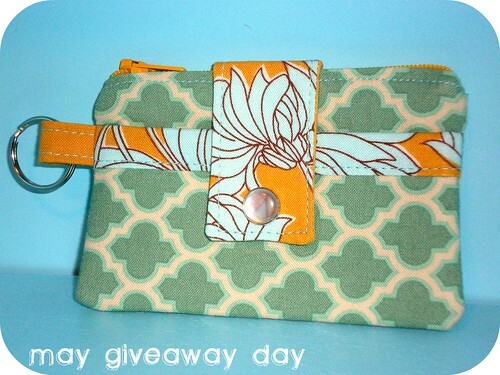 Fun giveaway, cute blog! Love it! You are now being followed. i LOVE your fabric choices for these items! i would LOVE to win! Love all the items! Great job & thanks for the opportunity! I love the fabric choices and the note taker would be so handy. Thanks for the chance to win. Great work and adorable fabric!! This is a gorgeous set. 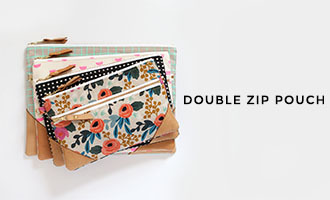 I'm always scrambling in my purse for scrap paper to write things on so this would be perfect! Thanks for offering them up as a giveaway. Oh my gosh, all of the items in your giveaway are awesome. I would so love to win these! Gorgeous! Great fabric choices on these little guys, too cute! I love these designs! They are so cute! What beautiful items! Great fabric choices... I hope I win! Man, these are just what I need! Everything is beautiful! Love your stuff! So cute. What a great shop! These are so cute! Thanks for posting. My email is in my profile. Loving the colors and all of those sweet goodies! I could use any one of them to add flair to my day- thanks! Love your choice of fabrics! Thanks for the chance to win your lovlies! Very pretty. I can put all of your items to good use. Thanks for the chance to win. totally love. I may try to knock off some list takers for Brownie leader gifts-my mom gave me some of the new GS fabric. I love the fabric you used! Thanks for the giveaway! I am in love with this giveaway. The fabric is so GREAT!! Vanessa - your work is beautiful! This is such a lovely little trio, and oh so generous. Thank you for the offer and opportunity to enter. Love the fabric, I've been digging the bright oranges lately especially mixed with blues! Thank you for the generous giveaway. This is one of my fav. giveaways I've seen yet. So generous of you! love the pattern of that yellow fabric! too cool! All three could be put to good use. Great Stuff, I love list making (I think I am a compulsive list maker) so this would be great for me. You have wonderful items in your etsy shop. Thanks for sharing your talents. Love the mini list taker.... would be so great to have all my lists in one place! What a great idea. Thanks. Thats really cute! Thanks for the great giveaway! Happy spring! love them all! Thank you for the cute giveaway! Great giveaway. Everything is so cute. Thank you for the chance to win. Wow, these are all so beautiful!! Thanks for the great opportunity! Great stuff! I Liked your FB page and am looking forward to hearing more from you. Keep sewing! BTW, the candy CRACK looks awesome!! I love the fabrics, and I really could use a list-taker. Thanks for such a fun giveaway! LOVE these fun items! All of them! beautiful prints!! 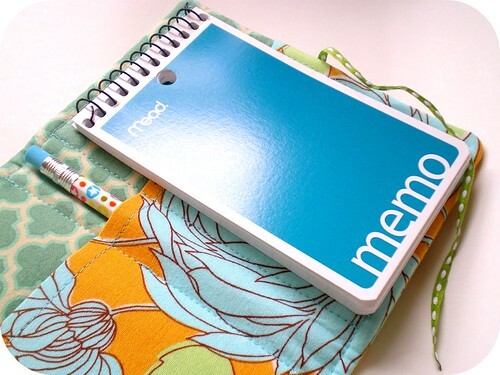 i need a little note pad that is just that cute. ;) thanks for the opportunity! Awesome giveaway! I love the fabric! Thank you for this opportunity! Love your fabric choices -- I'd love to win! A nice little set of handy items. Thanks for the chance to win them. I really like the note-taker. Awesome idea. I love the fabrics on these! i love the aqua and gold together. my fave is the wallet. Beautiful work! Love the giveaway. So super cute! I need one of those list takers for my bag. A mini list taker!!!!!!!! I'm a listaholic. Love the fabric choices. You promised this would be painless, but oh the pain! Oh the agony! Haha, just kidding. That's just the kid on my head. Don't miss my unofficial giveaway! love this give a way thing!!! Adorable! I love the fabrics you used! What an awesome giveaway. Fantastic color combination, too! Thanks for the chance to win! Really cute stuff!! I love the fabric!! You have some awesome items! I love the pocket clutch from your shop! Thanks for the chance! Thank you for taking part in the giveaway - your items are so pretty! These giveaways are great! I'm loving the yellow! Very cute! What a pretty way to make those lists. What an awesome and supremely useful set! Beautiful and fun giveaway! Thankyou! Lovely work - thank you! This is the cutest giveaway I've seen! I love all 3 pieces! The mini notetaker is FABULOUS!!!! What a generous giveaway. Thanks so much for the chance to win these lovelies. oh I love this give-away!!! Thanks for the chance to win! Love the fabrics you've chosen! Very cute. I love your fabric choices. your shop is great! You've done an excellent job with the fabric choice for these. Orange makes me happy! Those are great! I love orange. Thanks for the giveaway. This is an amazing set! You are very creative! oh my, the fabrics are beautiful! fantastic giveaway! thanks for a chance, this is a darling set. and one of my favorite all time fabrics! Boy do I love that fabric! Love this set - count me in! Enjoy your giveaway! Love the items you have posted. Thanks for the chance to win. gorgeous pieces!!!! My purse would love to have them ;) Thanks so much for posting! These are so beautiful. Thanks for the giveaway. Mini list takers are awesome. Great giveaway. thanks. love the items and love your photos! so clean and clear. :) thanks for giving! How cute, i love the fabric! Thanks so much! Oh wow... such great stuff.... I love the colors and you did great work! I am really excited about the giveaway! How beautiful! I love the fabric. These look so well made too! Awesome. Very pretty and useful too! Love the fabrics. Thank you for the giveaway. I'd love this, this is right up my OVER organized alley! those are beautiful :D love your fabric choices. thanks for hosting the giveaway! These look fun! Thanks for the chance! Really great stuff. I'm excited for the chance to win! Thanks. AwEsOmE Giveaway and Idea!! Thanks for your giveaway!! Thanks for the chance to win! Love the ideas! wow.. What a lovely package! love the colors and thanks for the chance to win. LOVE IT need it want it!!! Awesome giveaway! It looks like you have some neat organization ideas that are cute too!